Some call it outsider art; others prefer self-taught. Still others insist on distinguishing between folk art and naïve art, or the less pejorative terms vernacular art and visionary art. Then there’s Art Brut, Neuve Invention and art therapy. Confusion and disagreement have come to reign over this fervently debated world. Charles Russell’s authoritative new survey attempts to clear up some of the muddle. Though handsomely proportioned and generously illustrated, this is no coffee table book. Russell is an eminent scholar in his field, and has published widely. 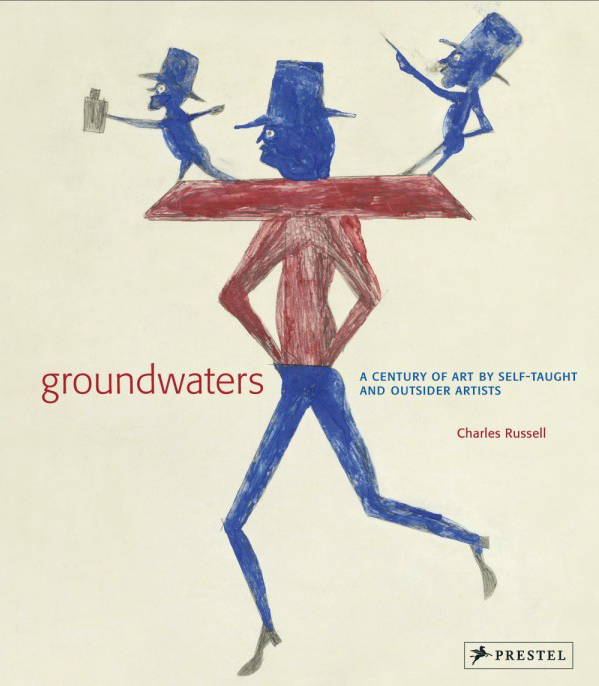 Without explicitly admitting as much, Groundwaters charts a canon of self-taught art by selecting twelve of its major figures and placing them within the ‘mainstream’ of 20th-century art history. Russell opens with a quote from psychiatrist Hans Prinzhorn, whose seminal study Artistry of the Mentally Ill (1922) arguably established the field. Prinzhorn writes of the ‘psychic springs’ that nourish the creative process: ‘As groundwater seeps to the surface and flows toward the stream in many rivulets, many expressive impulses run in many creative paths into the great stream of art.’ The notion that art is not an exclusive, academic hierarchy is attractive in our post-Postmodern age, and one that especially appeals to those who are confounded by what Russell frostily describes as contemporary art’s ‘presumed position of critical insight’. By returning, throughout his book, to a rather simplistic idea of an identifiable ‘mainstream’ (on which outsider art depends for its outsider-ness), Russell not only reveals his innocence of the breadth of today’s art world, but perhaps also betrays his low regard for contemporary art itself. He’s on much steadier ground when relating the biographies of individual artists, and revealing connections to ‘mainstream’ art history. Russell suggests that the naïve artist Morris Hirshfield, for instance, was to mid-century American art what the self-taught Henri Rousseau was to admirers Wassily Kandinsky and Pablo Picasso. And conversely, within each artist’s profile, Russell draws in lesser-known but related self-taught artists. In the chapter on the schizophrenic Adolf Wölfli, he writes about Emma Hauck, Barbara Suckfüll and Josef Heinrich Grebing, all Wölfli’s approximate contemporaries, whose mental illnesses similarly expressed themselves in vividly patterned drawings and dense areas of text. Too much discussion of self-taught art is parochial and defensive, petulantly rejecting any association with the cynical and corrupted ‘mainstream’. Aside from some light (and misguided) sniping, the expansive Groundwaters reveals that self-taught artists have made – and continue to make – undeniable contributions to the ‘great stream of art’. Some, including the critic Roberta Smith, have even argued that the term ‘outsider’ is no longer relevant at all.